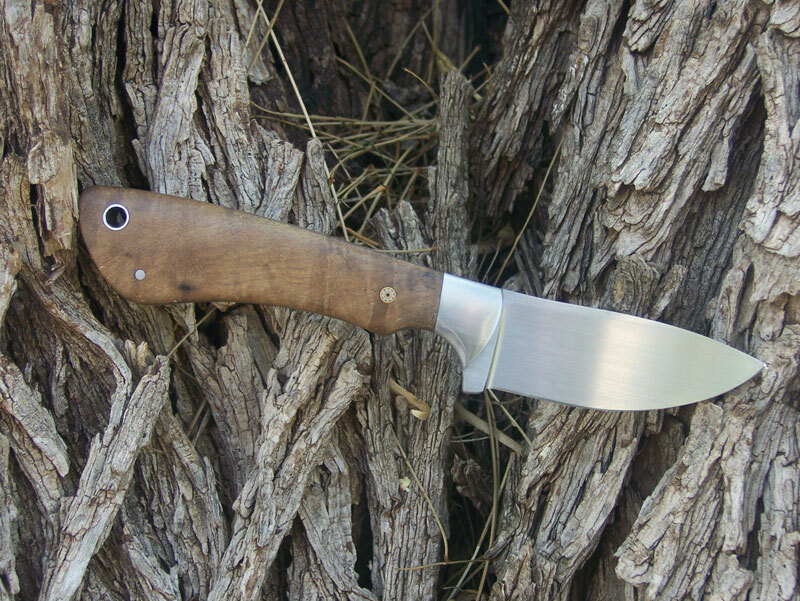 This knife is a bullnose skinner design I’ve made several of, but have never put bolsters on before. 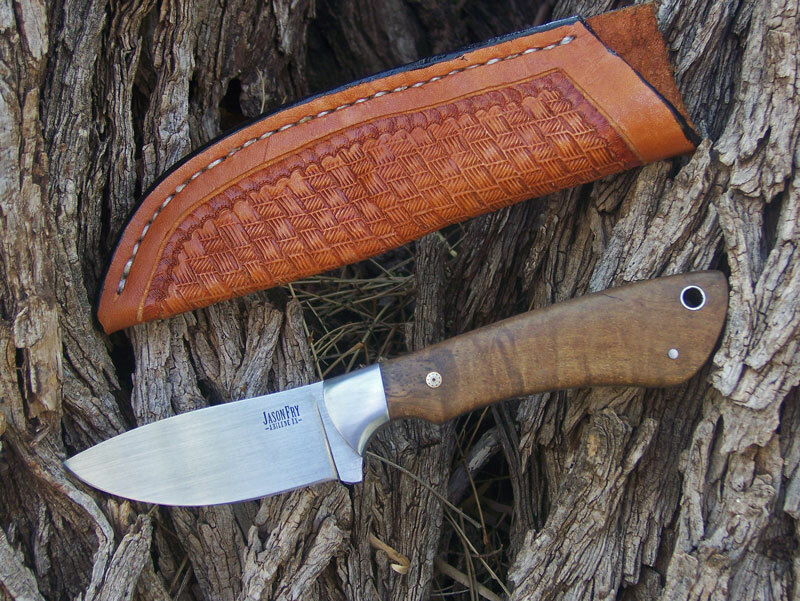 The blade is 1080 carbon steel, 400 grit satin hand finish, and a nice tapered tang and square fit 416 bolsters. 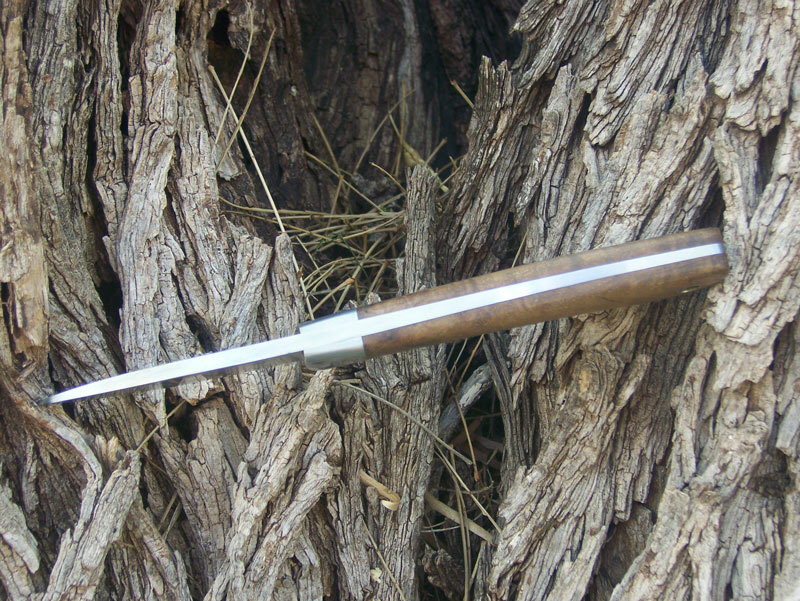 The handle material is pecan that I cut from my friend’s ranch in San Saba, TX. The sheath is my work as well. I don’t want to spill all the beans just yet, but I have it on good authority you will see this knife in print.